To keep our skin healthy we must use a moisturizer. Moisturizers keep our skin in being healthy and balance the water level of our skin. 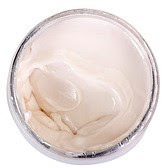 The moisturizer I am going to tell you here is not only cheap , it also works on your skin very well and make your skin soft and don't leave it dry. Blend all ingredients until it turn into cream . Put this cream in a jar and store in refrigerator. Use this moisturizer after shower daily. This Moisturizer can be used in whole body so that your skin become soft and moisturized.